In this fast paced world, it’s always a challenge to keep up with and track your loved little ones or precious mobile assets all throughout the day. 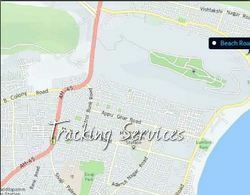 Owing to our years of industry experience and precise knowledge of this domain, we are offering an outstanding assortment of Personal Tracking. Be alerted about your employees position even if you are not in front your computer! You can opt for another option of receiving captured images from employee’s device to your web portal as well as your email, keeping your informed everything 24X7! Generally tracking is the observing of persons or objects on the move and supplying a timely ordered sequence of respective location data to a model e.g. 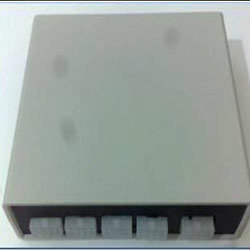 capable to serve for depicting the motion on a display capability. We offer devices that are used for personal tracking systems. Since our inception in this immensely popular industry, we are highly indulged in delivering Person Tracking Service to our customers. Besides this, their low rates, on time delivery, perfect completion and reliability makes these services highly preferred and thus demanded. Widely cherished for delivering perfect results, our offered services are highly recommended among our customers. Imagine being aware and in control of your Persons where about, being able to track and secure. An evolution personal security and tracking, all you need is your mobile phone. Get Supersafe today, the closest you can get to protect your person. With ystem parents can know if their children are safe and they are where they are supposed to be; families with aging parents can now have a peace of mind, knowing that their loved-ones can reach them easily if they require assistance; and companies can track their employees at all times. We assist you in keeping track of family members, children or employees or anyone you need to monitor with a personal GPS tracking device. These are suitable for covert tracking, small enough to be hidden in a bag or purse and are perfect for individuals entering dangerous areas. You can get live updates of a family member or co worker using our products and solutions. G-Trac offers state of art mobile application compatible to all android and iphones, enabling real time track and trace of personnel and field forces. Additional features like geo fence, panic button, route breach alerts resulting in prompt response and control, are available to meet industry expectations. - Empty parking slot information.